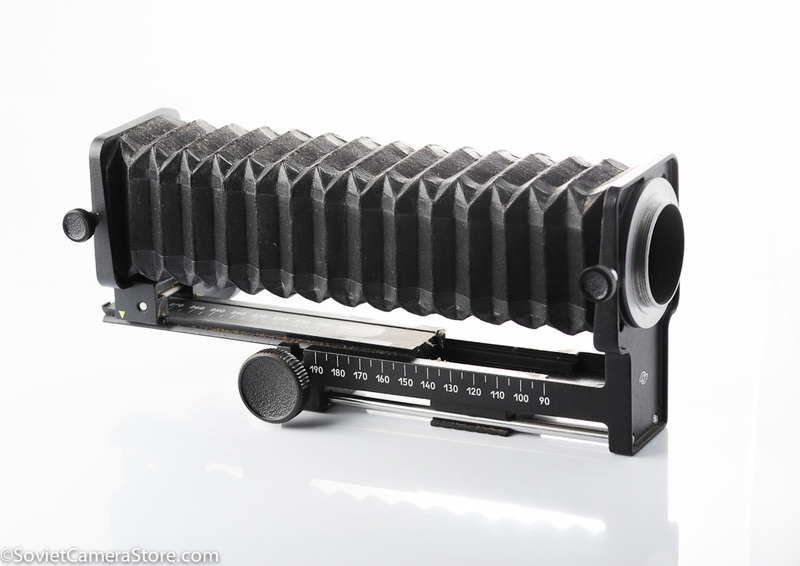 Home / Accessories / Other accessories / m42 PZF macro bellows – for amazing macro! 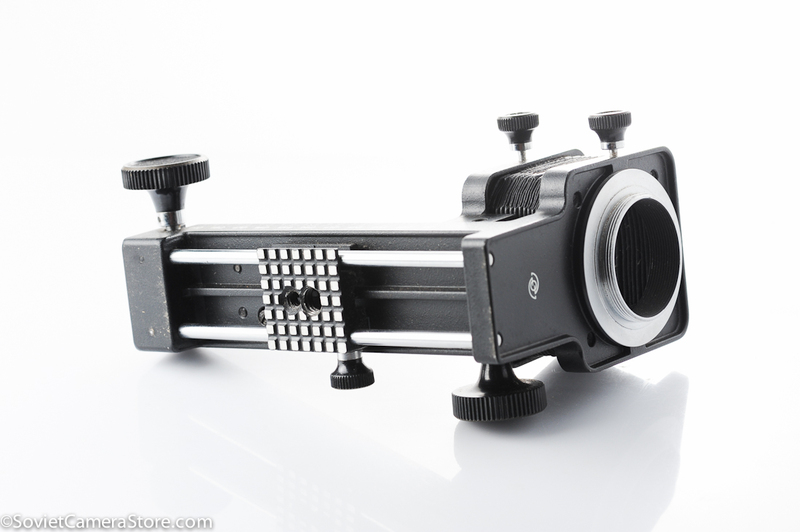 m42 PZF macro bellows – for amazing macro! 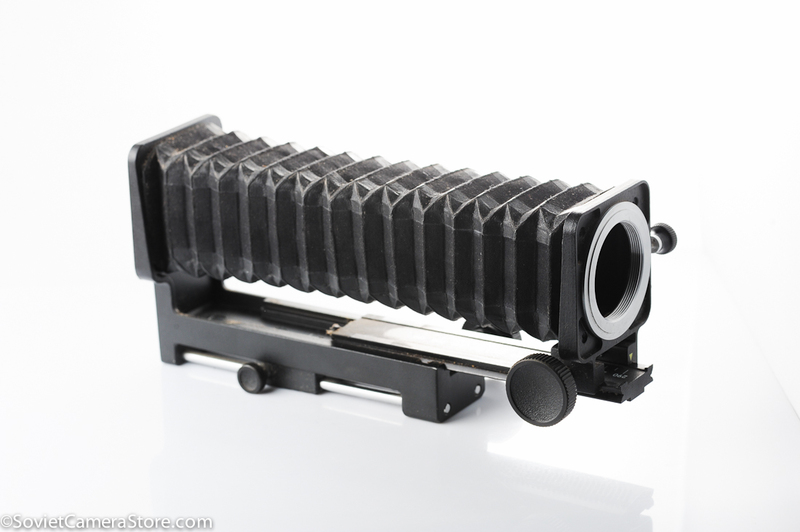 PZF macro bellows, made in USSR! 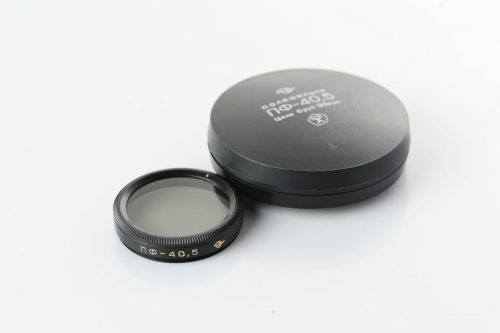 Can be used pretty much on any modern camera with any m42 lens – get amazing magnifications with this vintage macro accessory. Much larger then life magnifications in camera. Can be used on tripod or free handed. Condition: very good to excellent! 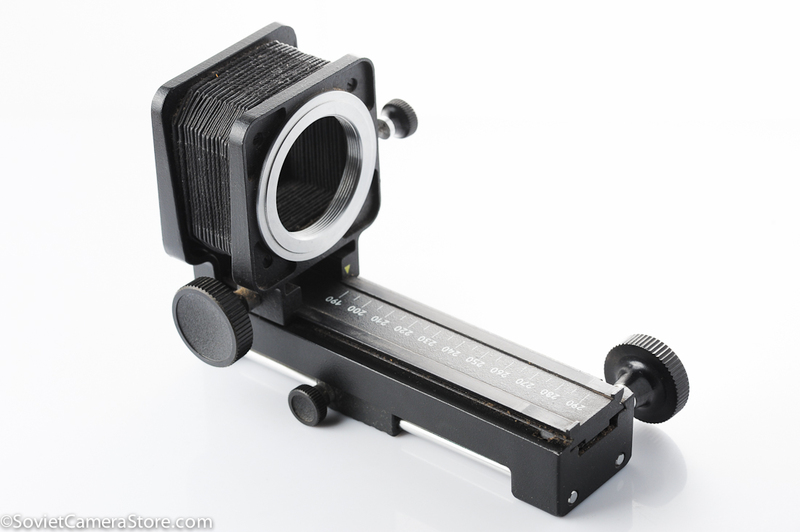 * Mounting M42 x 1mm groove, known as Pentax Thread Mount, same with a lot of old SLR cameras (Practica, Chinon, Yashika, Bessaflex etc). 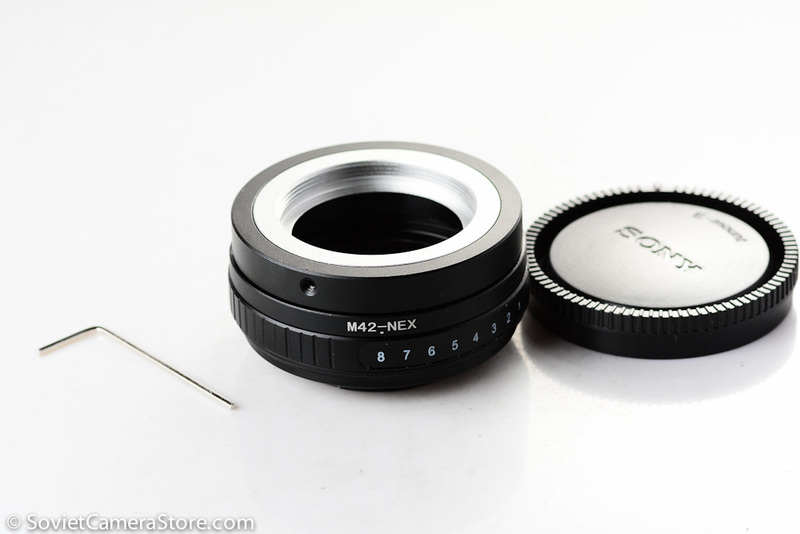 * Mounting for different modern SLR & dSLR cameras will not bring any trouble with well-spread M42 adapters. 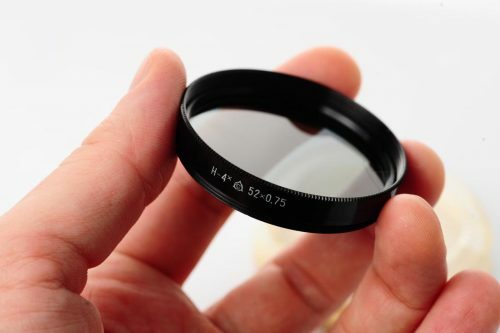 * Lens mount is via easy removable rings, thus you can place camera and lens at any end of bellows. 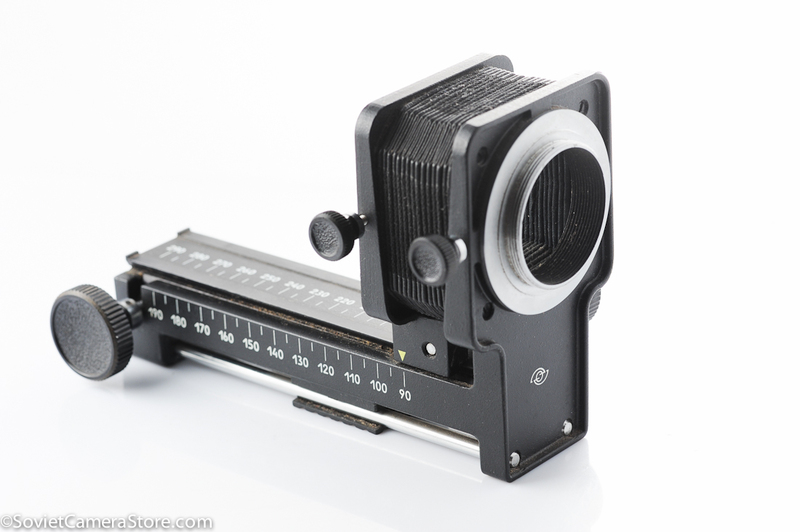 * Magnifying: ratio from 0.9:1 up to 4.7:1 with 50mm lens… bellows can be extended up to 290mm total. 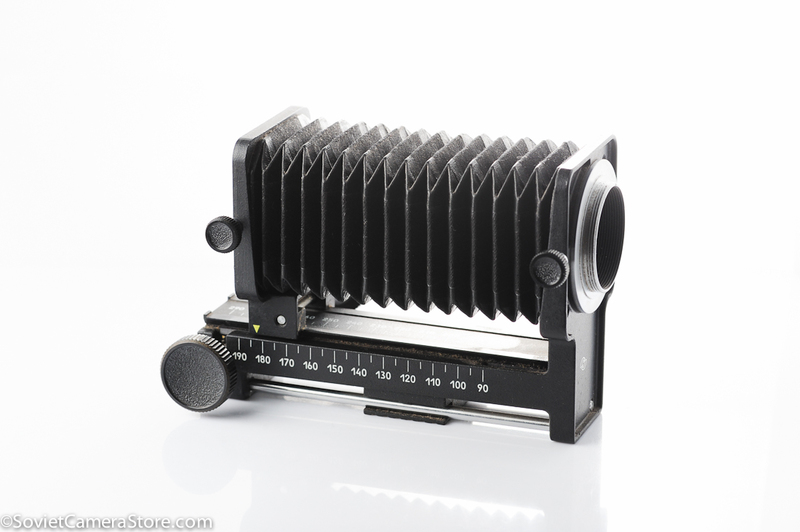 * Bellows can be mounted on tripod via any of two sockets: one socket 1/4″ and other 3/8″. 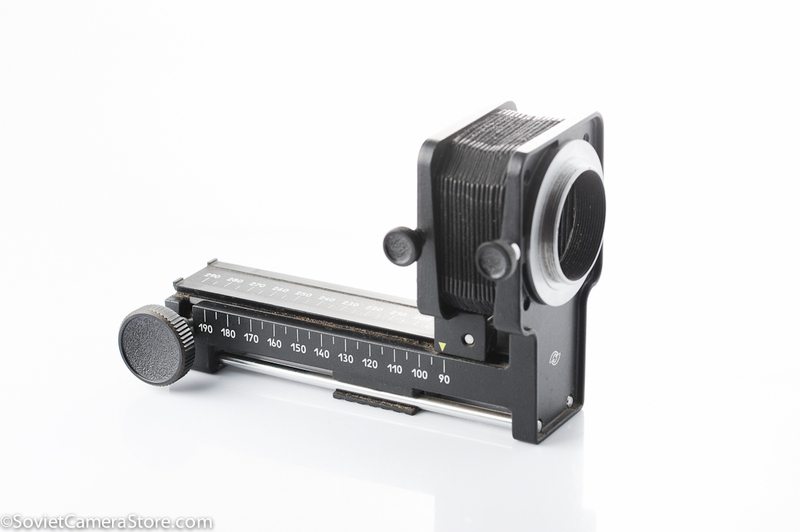 * Fine tuning is available with special reel and gear wheels (about 100 mm of total length). * Spring blend aperture drivers are not included into this device. * Dimensions (in combined position): 95x115x170mm. * Weight: about 600 grams. * Made in USSR in 1980s. You may pay safely via BDO deposit, paypal or bitcoin & have the item delivered to your doorstep.